My early experiences running User Acceptance Testing (UAT) typically involved dealing with just 1 or 2 users. When they encountered an error, they’d show it to me, and I’d record it. However, as I gained experience in Quality Assurance, I worked on larger projects. On my first larger project, I needed to train a group of 20 users who were going to perform User Acceptance Testing. Having worked with several different users in the past, I knew several of the pitfalls that users may encounter. However, I never really had asked users to record errors themselves. Still, I thought it would be easy to get the point across. During the training session, I said that it was critical to record all necessary steps so that the developer could recreate the bug. I told the users that we often hear from users who simply say, “It doesn’t work,” and explained that the developers will not be able to fix a problem that was described so generically. The users said that they understood perfectly and were ready to start testing. With 20 inexperienced testers working independently, it was important to filter the reported bugs before assigning them to the developers. I was responsible for triaging all bugs reported by the users. I verified that I could recreate bugs and eliminated duplicate bugs before assigning them to the developers. If I could not recreate a bug based on the instructions, I would reassign it to the user who reported it and ask for more detail. I assumed that the users would quickly realize when they were not providing sufficient detail and start writing perfect bugs after a day or two. I was on the “Choose a Course” screen. When I chose a course, I got an error. In this case, when I tried to reproduce the bug, I did not receive an error. So, I sent the bug back to the user requesting more detail. In most cases, the first time a bug was recorded, I had to reject it. In many cases, I had to reject the rewrite as well. Pretty quickly, the users got fed up with me and complained to their manager that I was rejecting their bugs. I realized that I needed to find a way to illustrate to the users exactly what was needed in a clear, reproducible bug report. I developed the following simple exercise that was very effective. I have used it on all subsequent large-scale UAT efforts with the same success. 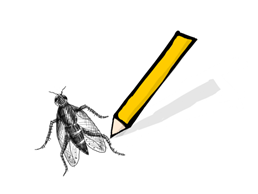 Record the bug as clearly as you can and assign it to yourself. Try to recreate the bug following only the information that you recorded. If you are able to recreate the bug, assign it to me. Otherwise, go back to step 1. It is important that the users wait some amount of time before trying to recreate the bug. I found that when they try to recreate the bugs immediately, the steps are too fresh in their mind to truly follow only what they wrote. They seem to fill in the gaps without realizing it. I have found that once users complete this exercise, they are able to consistently write bugs that have enough detail to be reproducible. They do not become expert testers, of course, but they are able to write a useful bug. I’m interested in hearing about other people’s experiences as well. What concepts have you found especially difficult to get across to people performing UAT for the first time? Were you able to find a technique that helped the users better understand the concept?